Workflow automation includes modeling a business process so you can execute it using a workflow management system, such as Signavio Workflow Accelerator. However, starting a process model with a blank page can be a daunting prospect. This is why we’ve published a collection of workflow examples that you can use to get started. Fields that appear on forms to capture and show information about each case. This blog post gives you an overview of 10 workflow examples and links to each one’s complete description. As I’ve written before, handling vacations requests is The ‘Hello, World!’ of process modeling. Despite the model’s simplicity, Signavio Workflow Accelerator makes it easier to keep track than when you use spreadsheets and email. Process goal: approve an employee’s planned vacation dates. 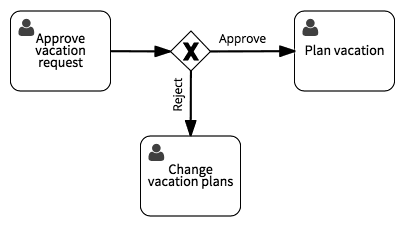 Read more about the workflow example: Approve Vacation Request. Workflows often include approvals, so here’s an example of a simple approval workflow. Unlike the vacation request’s form-based approval, this example is based on approving a document and includes Signavio Workflow Accelerator built-in integrations for saving files to Google Drive and sending custom notifications by email. Process goal: approve the submitted document, after optional revision rounds. Read more about the workflow example: Approve Document. Form-based approvals aren’t just for human resources (HR) processes. In general management approvals for budget authorization, where expense claims are the simplest example, also benefit from workflow automation. Process goal: submit an expense claim document for someone else to approve. Read more about the workflow example: Approve Expense Claim. 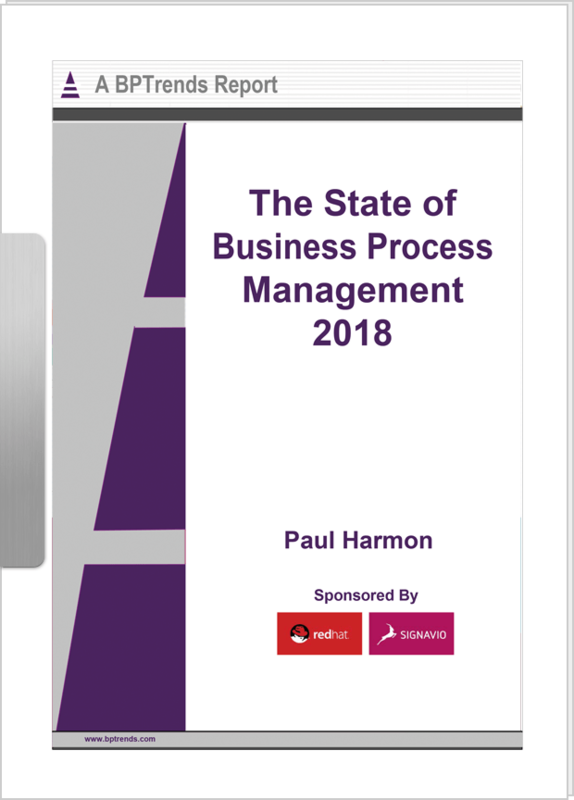 HR processes often especially benefit from workflow automation because the processes vary too much between companies to make standard software solutions useful. 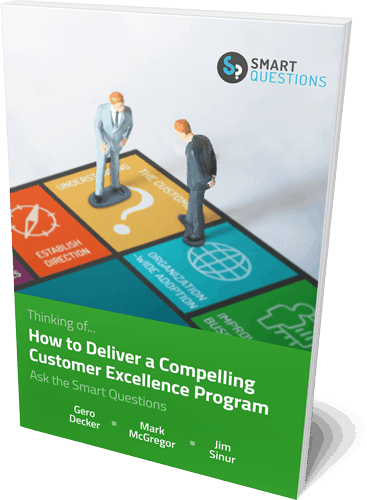 Although every HR employee will recognize elements of this process, you would immediately change it in practice. Fortunately, Signavio Workflow Accelerator embraces change, with built-in process versioning. Process goal: fill a vacant position within the organization. Read more about the workflow example: Fill Job Vacancy. Not only do companies all approach recruitment differently, but there’s more than one perspective. This example changes focus from filling a vacancy to responding to a job application, which makes more sense when there are few applicants for positions that generally stay open. Process goal: send a job offer letter to a successful job applicant. Read more about the workflow example: Hire Employee. Workflow automation isn’t just for central functions: customer facing departments also have company-specific business processes to manage. This example shows a customer onboarding process for a bank, which you could adapt to customer onboarding for any kind of business. Process goal: create a new customer bank account for a retail bank. Read more about the workflow example: Open Customer Account. Industry-specific workflows capture a subject-matter domain’s specific language. Even when the actual process is similar to a standard software solution’s, using the correct jargon results in a better user experience. This insurance industry example shows a simplified high-level process, with a technique for separating complex work. Process goal: process an insurance claim in order to make a payout to a customer. Read more about the workflow example: Process Insurance Claim. Process goal: fulfill a customer’s purchase order, e.g by shipping a product, and issuing an invoice. Read more about the workflow example: Fulfill purchase order. Critical processes, such as getting paid, are perfect examples of where you can use workflow automation to avoid delays due to forgotten tasks, slow handovers and manual notifications. This example uses email notifications and due dates to keep things flowing. Process goal: get a customer invoice paid and closed. Read more about the workflow example: Invoice Customers. While companies tend to focus on certain kinds of business processes, when using workflow automation, you can also apply tools like Signavio Workflow Accelerator to any collection of tasks that outgrows a conventional To Do list. This example shows how workflow automation can help your sales team triage leads that result from meetings. Process goal: develop a business contact into a sales opportunity. Read more about the workflow example: Follow Up Contact. To try these 10 workflow examples for yourself with Signavio Workflow Accelerator, register for a free 30-day trial, select ‘Examples’ from the menu in the application, and copy one of the examples. After that, the next step is to create your own examples, and experience all of the benefits of workflow automation.